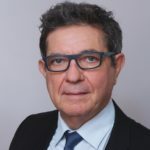 Pascal Vincelot has been Director of Operations of the Mérieux Foundation since March 1, 2018. He previously held this role for 31 years at bioMérieux across the globe, helping to establish six subsidiaries: Brazil, Chile, Colombia, Russia, Turkey and India. In China, where he remained for 12 years, he was responsible for the transfer of Greater China’s headquarters from Hong Kong to Shanghai, and developed research and development and production activities. Then, based in Singapore, he served as Asia-Pacific Vice President Public Health. Pascal Vincelot was French Trade Advisor (Conseiller du Commerce Extérieur, CCE) in India from 2001 to 2005. In 2008, he was appointed CCE for China. He was also for more than 3 years the co-president of the Healthcare Club Alliance (Club Santé), which brings together more than 120 French stakeholders active in the health sector in China. In this capacity, he actively promoted French health expertise in China, especially during the celebration of the 50th anniversary of the establishment of diplomatic relations between China and France. For these actions, he was appointed Chevalier (Knight) of the Légion d’honneur. Pascal Vincelot graduated from the University of Tours as Doctor in Pharmacy, then obtained a DEA in Immunology in Montpellier. He attended Harvard Business School’s “Build Projects in Emerging Markets” education program.